Select your Chrysler or Force cooling part. ��Chrysler and Force Outboard Motor water pump parts. 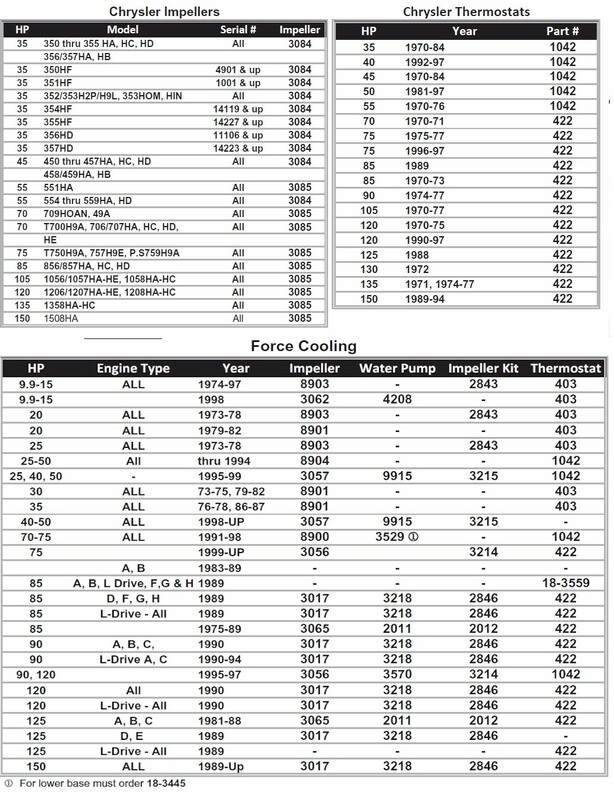 Chrysler and Force reference cooling chart. Scroll down for Chrysler. Order from links listed above. or double click on chart.